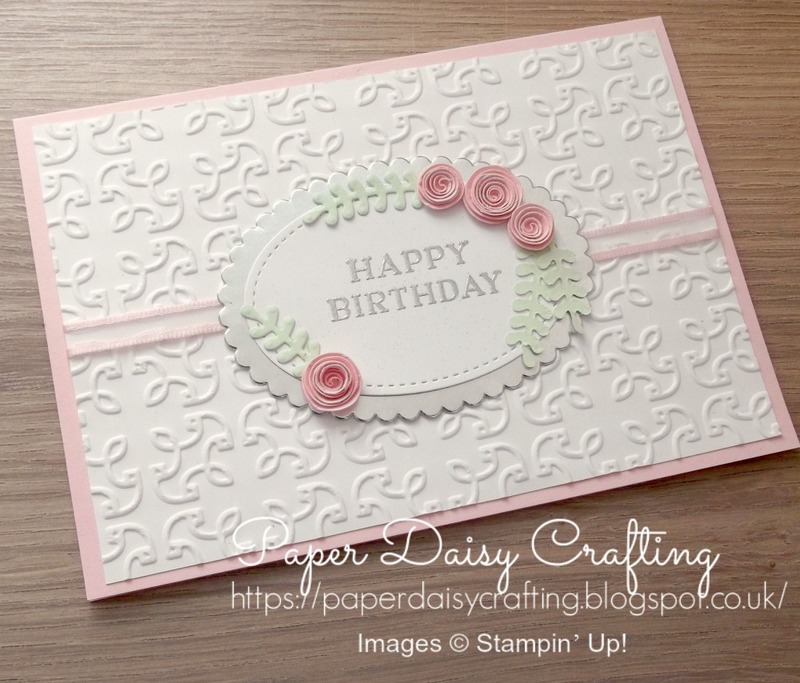 As I often do, I used exactly the same design but different colours and a different sentiment for the card I made on the video. How pretty is that? As I think I say in the video, the pink is Pink Pirouette, which will be retiring at the end of the month, and I will miss it so much. 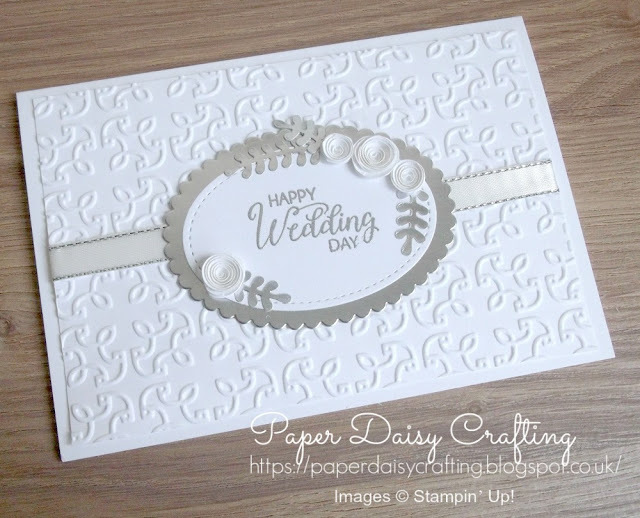 But what I forgot to say on the video is that the leaves are die-cut from one of our new colours of card stock, Soft Sea Form, using the Bouquet Bunch dies. I can tell that this pretty new green and me are going to be the best of friends. And if you're wondering about that pink ribbon, I show you in the video how to turn white ribbon into pink! Also, I must apologise for the rather abrupt ending to the video - my camera switches itself off when it hits 16 and a half minutes and I only just made it! If you'd like to watch the video, you can see it HERE or by clicking the image below. Also, if you'd like to see my other quilled cards, as mentioned in the video, you can pop over to my Etsy shop HERE. I hope you've enjoyed today's project. I'll be back soon with another, but meanwhile don't forget that there are lots of products on the retiring list that will only be available until the end of May, so if you want them, get them now! All the products I have used to make this project are all available from my online shop. Simply click "Shop Now" button on the top of this page or click any of the images below to go direct to that item in my online Stampin’ Up! shop.